In the latest headlines circling the globe in this first week of 2015, media outlets are regurgitating the conclusion of a new study which claims that 2/3 of cancers are caused by the “bad luck” of random DNA mutations, and only 1/3 are caused by diet and lifestyle. The researchers theorized that the organs and tissues in the body with the most stem cell divisions might be the most vulnerable to cancer. They looked at 31 cancer types and found that 22 of them, including leukemia and pancreatic, bone, testicular, ovarian, and brain cancer, could be explained largely by these random mutations. The other nine types, including colorectal cancer, basal cell carcinoma skin cancer, and smoking-related lung cancer, were more heavily influenced by heredity and environmental factors like risky behavior or exposure to carcinogens. Breast cancer and prostate cancer were not included in the study. Here’s a nifty little chart someone put together. “When someone gets cancer, immediately people want to know why,” said oncologist Dr. Bert Vogelstein of the Johns Hopkins University School of Medicine in Baltimore, who conducted the study published in the journal Science with Johns Hopkins biomathematician Cristian Tomasetti. Tomasetti said harmful stem cell mutations occurred for “no particular reason other than randomness”. Tomasetti said the study indicated that changing one’s lifestyle and habits like smoking to avoid cancer risks may help prevent certain cancers but may not be as effective for others. “Thus, we should focus more research and resources on finding ways to detect such cancers at early, curable stages,” Tomasetti added. Yes friends, apparently bad luck is now a scientific phenomenon. We no longer live in a cause and effect world, rather, one that is mostly governed by random chance and luck, which of course is how our infinitely precise and perfectly ordered universe was created right? Bad luck is perhaps the most dangerous idea to permeate the cancer community because it renders the patient powerless. Nothing you did caused cancer, therefore nothing you can do will make any difference in healing it. Now you are completely dependent on early detection to prevent cancer, and if that doesn’t work, your only hope is surgery, chemo and radiation to save you. There’s no use in changing your diet or lifestyle. So go ahead and enjoy another supersized McRib combo meal. This is an oncologists dream study and will be cited ad infinitum to cancer patients when they ask about nutrition and natural therapies, and changing their diet and lifestyle to promote healing. Here are a few more things to consider. Breast and prostate cancer, two of the top four most common cancers, weren’t even included in the study! That alone renders their “65% are bad luck” conclusion invalid. And I could just stop there, but no, there’s so much more. This isn’t a lab study. It’s a study of other studies — essentially a mathematical calculation. The only thing they proved was that parts of the body with the most rapidly diving cells tend to be more prone to cancer. I’m not sure why that common sense idea is considered “groundbreaking”. What I find so ridiculously mind-boggling is that these researchers don’t appear to be interested in finding out what is causing the gene mutations that lead to cancer, or how to prevent them. They have taken the laziest position possible. Except there is actually a field of science called epigenetics, which is the study of gene expression. Thanks to epigenetic research, we now know with absolute certainty that diet and exercise affect how your genes express themselves, literally turning good genes on and bad genes off. There are literally hundreds of scientific studies, if not thousands, published over many decades which have laid a firm foundation on the prevention and reversal of cancer through diet and lifestyle changes. Here are just a few off the top of my head. A 2007 study published in the Journal of Clinical Oncology found that breast cancer patients who exercised regularly (the equivalent of walking 30 minutes per day), and ate five or more servings of fruits and vegetables per day, had half the recurrence rate after nine years compared to patients who didn’t exercise or eat lots of fruits and veggies. A healthier diet and moderate exercise resulted in a 50% decrease in the recurrence rate of breast cancer. Now that’s what I call groundbreaking. A 2014 study of over 4,600 Swedish men with early stage prostate cancer found that the men who engaged in walking or biking every day for 20 minutes or more had a 39% lower risk of dying from prostate cancer and a 30 percent lower risk of dying from any other cause, when compared to the men who were less active. Another 2014 study published in the Journal of Clinical Oncology found that colon cancer patients who exercised seven hours per week or more were 31% less likely to die from any cause than those who did not exercise at all. It also found that patients who averaged 5 hours of TV watching per day were 22% more likely to die than those who watched less than two hours per day. 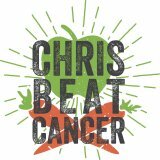 For more anti-cancer nutritional science, check out the Cancer-Fighting Food category on my site. Before jumping to the conclusion that cancer is mostly caused by bad luck, apparently the authors forgot that there are other countries on planet earth besides the United States, with very different cancer rates. Cancer rates in Mexico, Nicaragua, Guatemala, Honduras and Haiti are less than half that of the United States. So does that mean they are twice as lucky, or that we are twice as unlucky? 13 African nations, plus Iraq, Iran, Kuwait, Pakistan, Afghanistan, Tajikstan, Bangladesh, Thailand and Indonesia, have cancer rates that are between 57-66% lower than the U.S. Are they 57-66% luckier? The United Arab Emarates, Saudi Arabia, Yemen, Oman, India, Nepal, Bhutan, Uzbekistan, Sri Lanka, and Maldives have about 1/3 of the cancer rates of the U.S. Are they 66% luckier? There are another 21 African nations with less than 1/3 of the cancer rates of the United States. Niger has 1/5th, but their starchy plant-based diet and physical activity has nothing to do with it. They must just be 80% luckier.